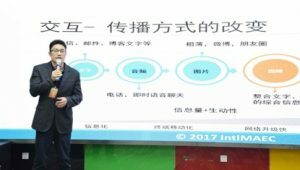 On June 23 2017 (Beijing Time), Seminar of Smart Storage in the Age of AI (Chengdu) was successfully held in Rongcheng. 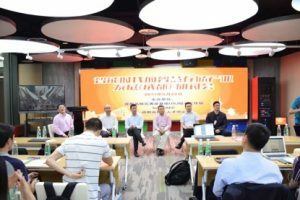 This seminar was organized by Chengdu High-tech Zone USJ Silicone Valley Work Station, IntlMAEC and Chengdu High-tech Zone Talent Center. The Smart Storage Inspection Group (Chengdu) (leader: Dr.Claude, founder and president of USJ ; group leader: Dr. Yuhui Chen, ex-deputy president of Marvell and president of InnoGrit; members: Mr. Jianwen Li, an experienced scientists of Cisco and an expert of artificial intelligence; Mr. Songfeng Cai, president of Unigen DataStorage Corporation, and Dr. Liaoyuan Zeng, president of IntlMAEC (China) ) came to Chengdu High-tech Zone to check out the investment environment here. 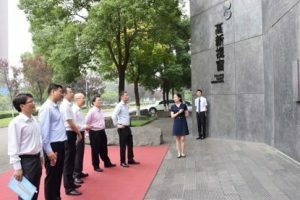 By this inspection, they shared their own opinions on the industrial development of AI and introduced the development of smart storage industry and other relevant industries, hoping that depending on this opportunity, relevant industries in Silicone Valley and High-tech Zone can be developed further and better in the future. Mr. Jiajin Yan, the ex-deputy secretary general and chairman of Sichuan Tsinghua University Alumni Association and other leaders from High-tech Zone (over 50 attendees in total) attended the seminar. This seminar was a big success. Today, the whole society is moving forward to a new age -- an age of AI. Therefore, it is an emergency for us to develop smart storage and definitely, smart storage has a big potential in the future. Besides, smart storage system is the bottleneck encountered by AI development. At the age of big data, the performance of storage equipment will greatly and obviously affect the whole storage system. Thus, smart storage industry all over the world is to have a rare development opportunity. These days, storage industry is experiencing the prelude of a technical reform. Now, many international companies are working hard on the industrial distribution and developing new products, trying to be a technical leader in the future. Therefore, China is suffering a situation that it is emergent and mandatory to set up our own first-class company engaging in smart storage chip and establish a new smart storage proposal based on the investment in the field of China’s storage industry. Mr. Jiajin Yan, ex-deputy secretary general and chairman of Sichuan Tsinghua University Association, introduces the development of Chengdu High-tech Zone by comparing the past and the present. He talked about the talent-introduction policy launched in High-tech Zone. He says that the rapid development of High-tech Zone was greatly benefited by the government’s guidance and great support from the society. Additionally, he introduced Sichuan Tsinghua University Association in Sichuan. He presented a call that great attention shall be paid to the development of AI in the future. 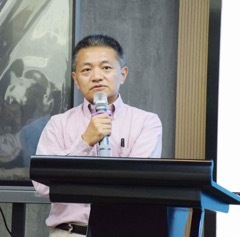 Mr. Chuanfeng Xu, deputy director of Organization Dept. 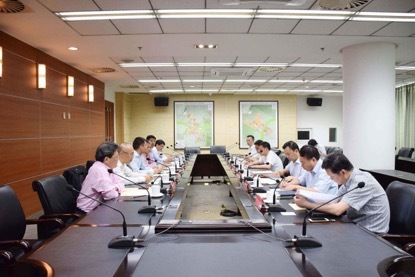 Chengdu High-tech Zone, briefly introduced the atmosphere of innovation and entrepreneurship in High-tech Zone, the talent-introduction policy and industrial support policy, as well as “124 Talent Strategy” launched in High-tech Zone; he proposed the five value orientations --- be international, be flexible, be marketized, be professional and be brand-oriented; he also proposed six projects --- Maker, Powerise, business, financing, masters of humanism and Skillful masters. 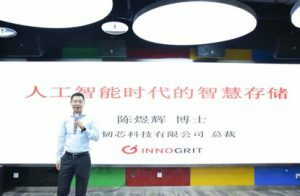 InnoGrit, a Chinese-funded enterprise, was founded by Chinese technical talents in Silicon Valley in America. 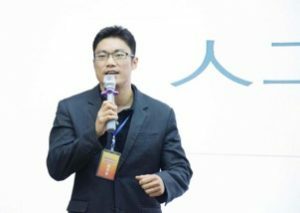 Dr. Zining Wu and Dr.Yuhui Chen are the main founders of the company while other members of the foundation team are technical backbones and business backbones from other first-class technical companies in the world. Before setting up InnoGrit, Dr.Yuhui Chen (the president) once worked as the deputy president of Marvell and general manager of Storage Business Dept. There, he was fully responsible for the strategic planning and business execution in Storage Business Dept. Under his leadership, Marvell has ranked top in the market of solid storage industry for several years. For example, the total yield of chips was more than 100 million. 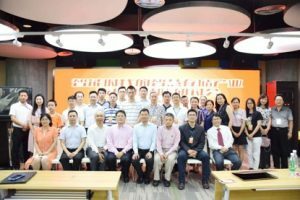 When working in Marvell, Dr. Chen set up close and long-term partnership with other storage giants, including top 5 flash memory manufacturers in the world, the seven data centers, brand supplier of personal computers and manufacturers of solid state disks. 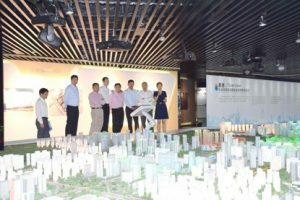 Besides, Dr. Chen once worked as the special assistant of Marvell’s president, taking part in drawing up the strategical planning and major merger and acquisition of the company. Dr. Chen got the double bachelor’s degree in Electrical Engineering and Enterprise Management in Tsinghua University, master degree in Electrical Engineering in Virginia Tech University, doctor degree in Electrical Engineering in University of California, Berkeley. He owns six patents in China and America, who has published several articles on IEEE and other magazines. First, Dr. Chen introduces the pyramid structure of storage, stating that data collection, data transmission, data storage and data computing are the key parts. 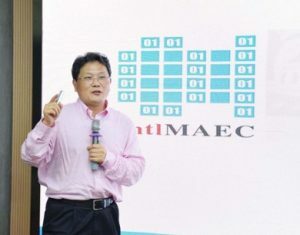 By the data collected from Tmall “11.11”, he explained the computing sever cluster and storage sever cluster. Second, he introduces some important things related to AI will lead the storage reform. At last, he says that in the age of AI, data processing is quite complicated, diversified and concurrency-oriented, which will have high requirements on the storage. So in the future, smart storage will be the key of data processing. Mr. Jianwen Li got the bachelor degree and master degree in Electrical Engineering in Tsinghua University. 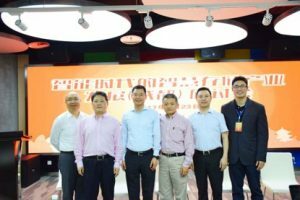 Now, being as the deputy president and general manager in Vitante Corporation (China), he is mainly responsible for the company’s operation in Asia, market development, R&D and technical support. Since 2007 when Vivante set up in China and an office set up in Asia, he has worked hard on making a first-class team professional in graphic products R&D and technical support. At the same time, he is always devoting to pushing forward the application and promotion of graphics technique in embedded field. Now, Vivante is holding a leading role in graphics technique, whose role is being widely accepted by top plants all over the world. The company has doubled its performance in the world and in Asia. What’s more, its Chinese R&D and technical support team is considered to be first-class in the world. Before working in Marvell, Mr. Jianwen Li was the R&D director of Cadence Design System Co., Ltd., mainly responsible for setting up R&D team in Asia-Pacific Region for digital integration circuit design, as well as market promotion. Before working in Cadence Design System, he once cofounded Colorstamps Corp. in Silicon Valley. The company engages in platforms for promotion of permissible marketing. 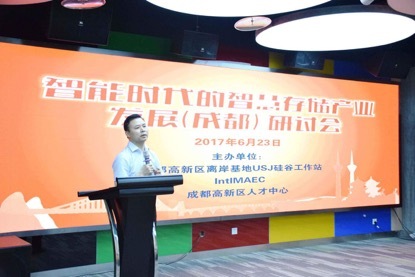 First, Mr. Jianwen Li introduces the great opportunities to be encountered by chips used by core processor in the view of market application. Second, he mentions that AI’s development pushes forward the termination of CPU but the rising of GPU. 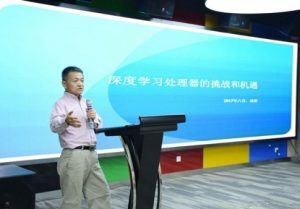 By learning and comparing the proposals of deep learning processor, he stated that it is important for processors to have innovations. At last, combining the current situation in the world, he says that all the countries are working harder and harder on big data processing and processors. 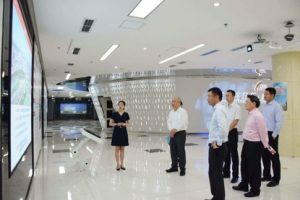 He hopes that under such a new background, China can keep the pace with the world to make innovations and breakthroughs in the new industry, hoping that China can tightly scratches the core techniques to get a fastest and best development. 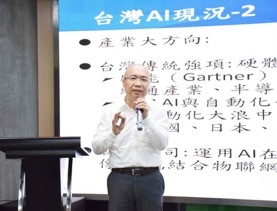 First, Mr. Songfeng Cai introduces the current situation of AI industry in China. He says that Taiwan owns some advantages -- the manufacture of hardware. For example, the CD-ROM, disk storage. However, as time goes by, the hardware development is suffering great challenges because of the development of AI. 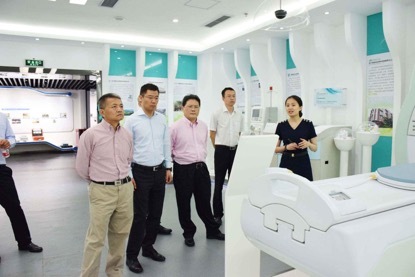 Second, he introduces the application of AI in medical care, the combination between smart storage and SSD, the hardware and software, as well as their development after being combined. At last, he introduces that how storage and transmission shall be combined in software and hardware in order to make the storage speed and stability better. 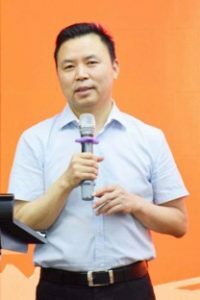 He got the doctor degree from University of Limerick, Ireland, post-doctor and associate professor in UESTC (University of Electronic Science and Technology of China), deputy director of UESTC VI Research Center. For a long time, he has devoted to VI, VR interaction and digital and medial communication etc. He has published an independently-written book English and more than 30 articles about SCI/EI (his articles have been quoted for more than over 100 times). By now, he has won the honor “Best Thesis” for several times. 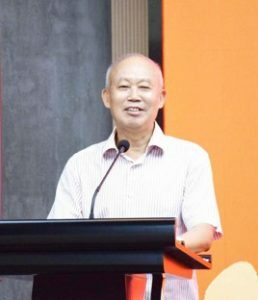 He also hosted and joined some horizontal scientific research projects (national research projects, provincial research projects and high-end research projects); he was awarded with the honor “extraordinary contribution” for the research / customization of wireless domain communication protocols by “National Information Standard Committee”; he was an expert of “AI Technical Innovative Strategy Union of Ministry of Science”; he was the technical consultant of MIIT CSIP Southwest Service Platform; expert of Sichuan Science & Technology Administration and editor of Bioelectronic Medicine (an American magazine) and Advanced Communication Technologies (magazine). He has been one of the members of Technology Committee of many international meetings for more than 20 times. 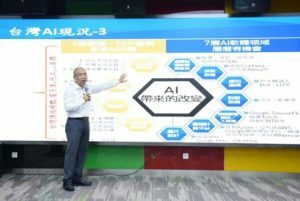 Dr.Liaoyuan Zeng introduces AI in two aspects --- how to be better in the age of AI; the development situation of AI in Silicon Valley and Chengdu. 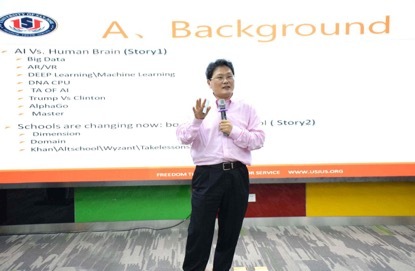 He gives examples (traffic jam) to show the successful application of AI in big data and the algorithm of computing the data of Tmall “11.11” . Then, he divides the development of AI into different levels, the lowest level: the level of technical support; the intermediate level: level of basic application; and the highest level: level of proposal combination. At last, he says that China also attaches great importance to the development of AI. He hopes that we can make deeper research on AI by making good use of the current industrial policies , push forward the development of science and technology in China. Dr. Claude is making a report. [Dr. Claude, experienced international educator, president of USJ, president of Claudedu Group, president of Gocean Education Group. In 1997, Dr.Claude set up Chengdu Gocean Education Group. Since its establishment, Dr.Claude has been the presidentof USJ. In 2013, Dr.Claude set up Claudu Group in Silicon Valley and worked as the president; Dr.Claude is the founder and president of USJ. Dr.Claude mainly engages in higher education investment, IT international certification and ITO etc. 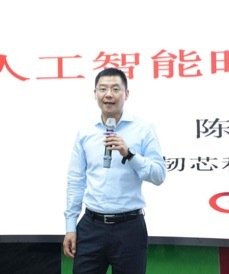 Claude Wang got the master degree in Math in Tsinghua University and doctor degree in Educational Economy and Management in Beijing University. 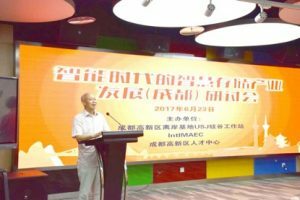 Dr. Claude describes the Education in China and America in the Age of AI in several aspects: features of educational reform in the age of AI; commons and differences between American education and Chinese education; what should we do under different situations; what advantages do the different methods have; in the future, what will education be like in the time of AI.